Home Kings Island Firehawk Demolition Begins. 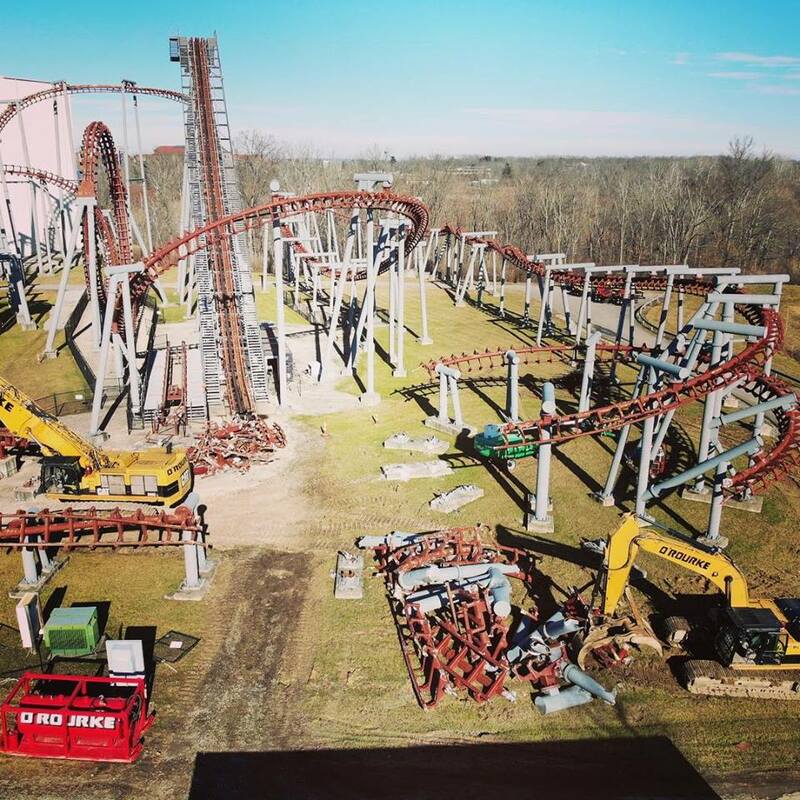 Firehawk at Kings Island starts the demolition process. 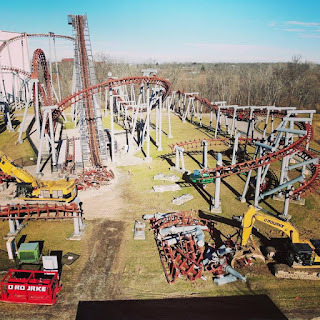 O'Rourke Wrecking Company, the same company that took down the infamous Son of Beast ride at Kings Island, has begun work on the demolition of Firehawk. Firehawk was the parks flying coaster, located at the back of the park near the Flight of Fear indoor roller coaster. The first pieces to go are the final helix and in-line twist, as well as the bottom of the lift hill. Rumors predict a large 300 plus-foot coaster will take over the rides place. We made a just-for-fun prediction ride video of what the opened space will look like so you can imagine how big we are talking.